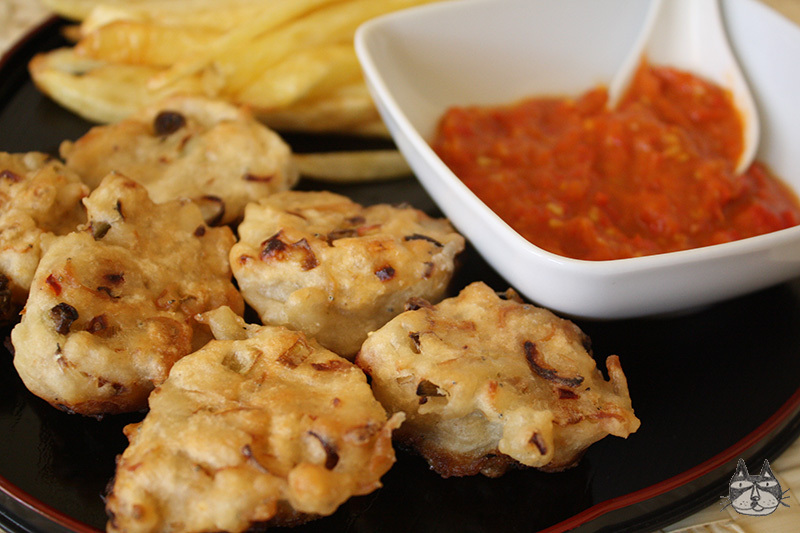 Cucur, which means fritters in Malay, is one of those ‘easy to make with essential store cupboard staples’ snacks that I always make, with variations. Add small prawns to the basic batter and it becomes cucur udang, add ikan bilis and it becomes cucur ikan bilis, or with extra onions/shallots and spring onions (vegetarian option!) 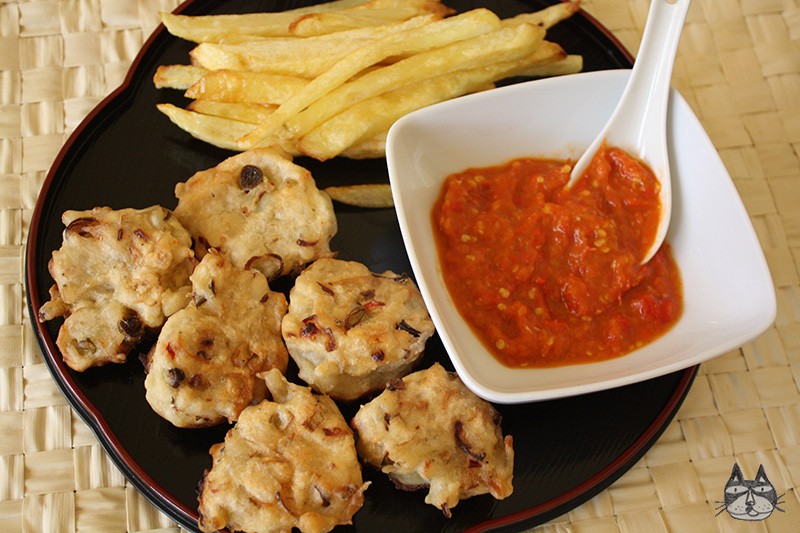 so it becomes cucur bawang. It’s a fiendishly easy-to-eat snack, ‘I’ll just have one more, ok maybe another one’ until you realise that you’ve actually eaten half of the enormous plate. Its crispy on the outside, and inside its soft and airy. 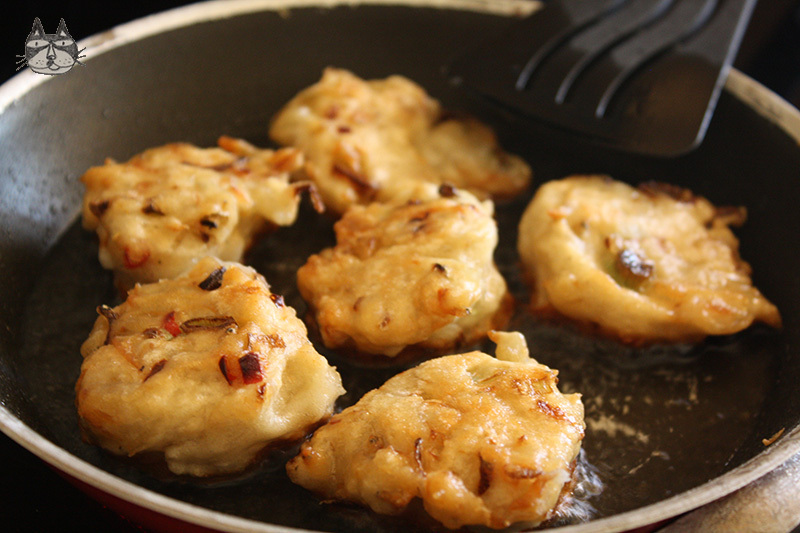 I remember my mother making cucur when I was 12 and we were all in England. It was winter, cold, dark and there were times when it got miserably chilly and dark here in Athens, I would fry up a small batch of these and just dip them with chilli or tomato sauce while its hot and feel right as rain again. Hooray for carbs and grease! I am using the teeny small ikan bilis (anchovy) that I like here, but hey, any sort of ikan bilis is fine with me. Or use the normal canned or jar of anchovies if you want. Chop them fine, and use half of what the recipe states below. Water, about 1 cup (250ml) , but it can be more or less. In a big bowl, add the flour, soda, salt, pepper, chilli powder and mix. Add water bit by bit, stirring and mixing with a spatula until it becomes smooth, but not watery. 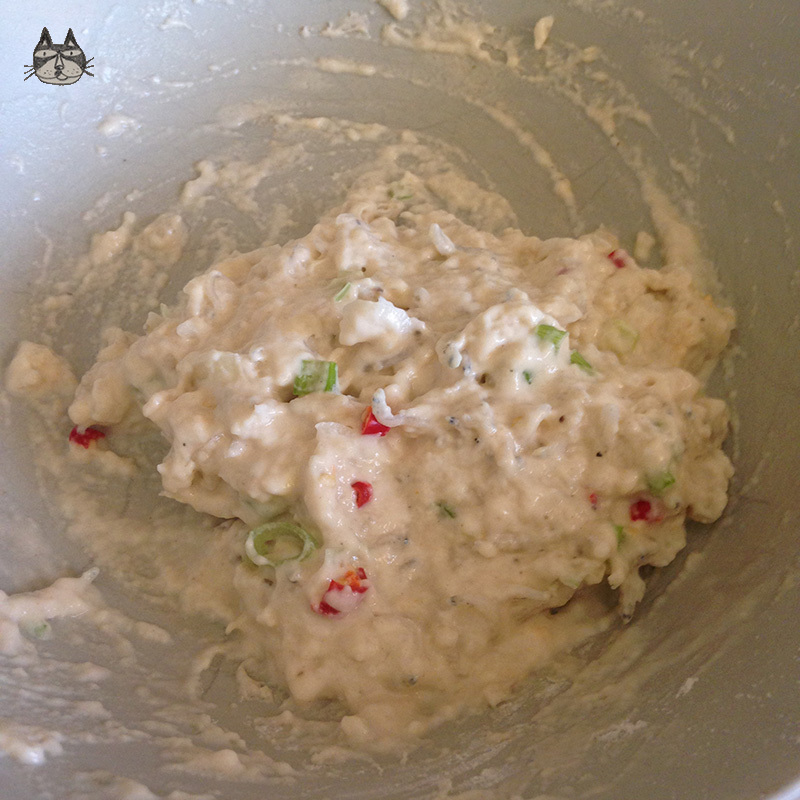 Add the ikan bilis, onions, chillies and spring onions and mix. Heat oil in a pan, and once its hot, scoop tablespoonfuls of the mixture into the hot oil and fry on both sides until golden.